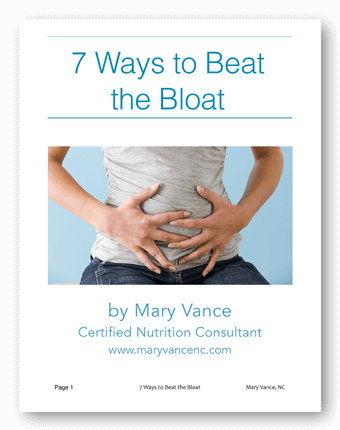 My name is Mary Vance, and I am a holistic nutritionist. I live in Tahoe and San Francisco in California and serve clients all over the world via video conferencing. After graduating from Emory University in Atlanta with a Sociology & Philosophy double major, I enrolled at Bauman College in Berkeley in 2004 and graduated a Certified Nutrition Consultant in Summer, 2006. I have been working with clients privately and teaching workshops since 2005. My practice is entirely virtual so I can reach clients and spread the good word about real food and holistic health–all over the world! I have had the good fortune of working with some wonderful mentors along the way, including Dr Ed Bauman and my personal mentor, functional medicine practitioner Dr Daniel Kalish. These days I even mentor other health coaches and nutritionists so together we can help even more people achieve optimal wellness. My philosophy is simple: Eat real food! Functional holistic nutrition addresses the whole person by determining and addressing the underlying causes of your health conditions rather than simply addressing the symptoms. I design personalized nutrition & wellness programs for my clients, who come to me with a variety of concerns such as hypothyroid/Hashimoto’s, stress, fatigue, weight loss, digestive issues (one of my passions), hormonal balance, infertility, PMS, anxiety & mood swings, or direction with cleansing/detoxing. Holistic seems to be one of those buzzwords that not everyone understands. In my practice, a holistic approach means I’m considering the whole person: your unique physiology, how the body systems impact one another, your lifestyle and even your life experiences. My approach focuses on three main areas: nutrition, lifestyle/emotional wellness, and exercise/stress relief. I am an expert at helping you uncover hidden food allergies that may be causing all sorts of health problems, from IBS to PMS. Aside from what I uncover during the consultation process, I use functional medicine diagnostic testing to uncover areas of imbalance, and I’ll recommend various supplements and herbs to help clients achieve optimal health, but the backbone of my programs are always seasonal, organic whole foods and traditional recipes. Please check out my Coaching services for more information about myself and my team and how we help people. I’d love to hear from you and help you on your health journey! 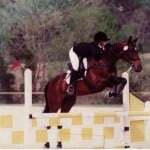 My horse Timer and I competing in the show jumping phase of a 3-day event in Georgia. I grew up an animal lover, raising and training show horses on a farm in Tennessee. My love for animals eventually landed me at an animal rights workshop when I was 15. I learned about the horrific conditions behind factory farming. I saw behind-the-scenes videos about what was going on in slaughter houses, and these images have stayed with me to this very day. Haunting images that shattered my preconceived notions about chickens happily pecking away on family farms or cows grazing lazily in the fields. So, I took the next logical step–I became a vegetarian. Having had no formal education in nutrition, I survived on rice and ramen noodles (Hey, it was vegetarian, right?) and within a year I became severely anemic. I fell asleep in class and needed constant naps. Once I was diagnosed, I started eating meat again for a while (even though I hated the idea), and it was around this time that a light bulb went off—what you eat determines how you feel. Our diets are directly responsible for our vitality and our health (or lack thereof). I read everything about nutrition that I could get my hands on–Dr. Andrew Weil, Phyllis Balch, and later on, Julia Ross, Sally Fallon, Mary Enig, Udo Erasmus, Paul Pitchford. I studied more about how food affects us, and how to eat a proper vegetarian diet by combining legumes and grains to get enough protein. I added in plenty of soy (a decision I would later come to regret) and lived happily for many years. And then… things started to go south. By that point, I was finished with college and interested in both journalism and women’s health. I had interned at Planned Parenthood and was working at my college’s Women’s Center when things turned around. I was suddenly really depressed, and I started having digestive problems. I moved to California and things persisted. Then my major hormonal issues surfaced and I didn’t get a period for a year, even after going to the gynecologist and getting synthetic progestin. The conventional medical route wasn’t working for me. I was so passionate about nutrition that I decided to make it my career, and I began attending Bauman College to study even more about holistic nutrition and natural health and alternative therapies. I discovered that I was sensitive to soy products, and they were not only causing my digestive troubles and hormone imbalance (read my soy story here) but were also blocking absorption of other nutrients. Me and my dog Shaia in Tahoe. I switched back to sustainably & humanely raised animal protein so that I could get high quality proteins for precursors to the feel-good neurotransmitters dopamine and serotonin. The fog lifted. I took herbs to heal my hormones, which normalized, and I felt better than I had in years. The body’s ability to heal and adapt amazed me–but you have to provide it with the raw materials to heal. And so today, I continue to witness health & healing via my clients’ diet & lifestyle changes. Through it all, I remember one thing: what we eat has a direct influence on our health. It sounds so basic, but people are just beginning to make this connection. Nutrition is the basis of health! Contact me if you want to turn your health around.